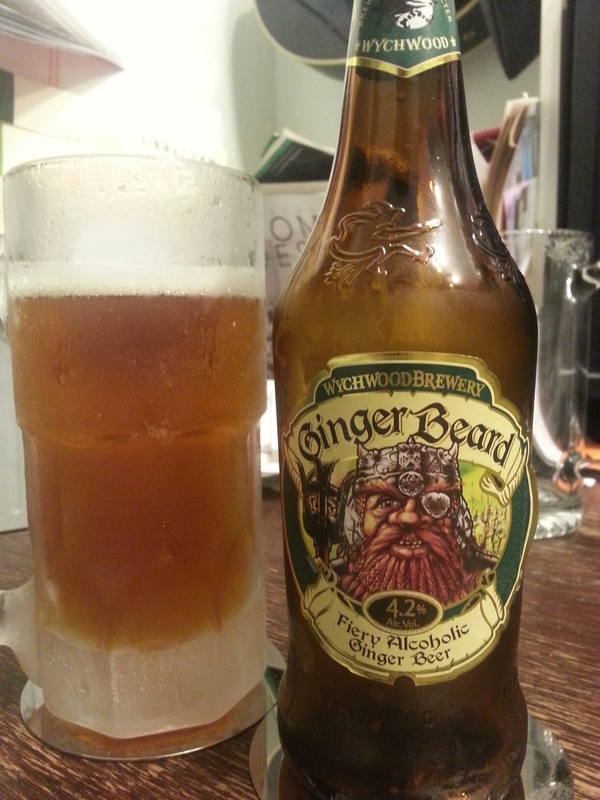 Ginger Beard – Wychwood Brewery (Witney, England) | Justintoxicated. Visual: Pours clear beer bottle brown with minimal head, a thin layer of ringed retention, micro bubbles, lots of fast clustered streams. 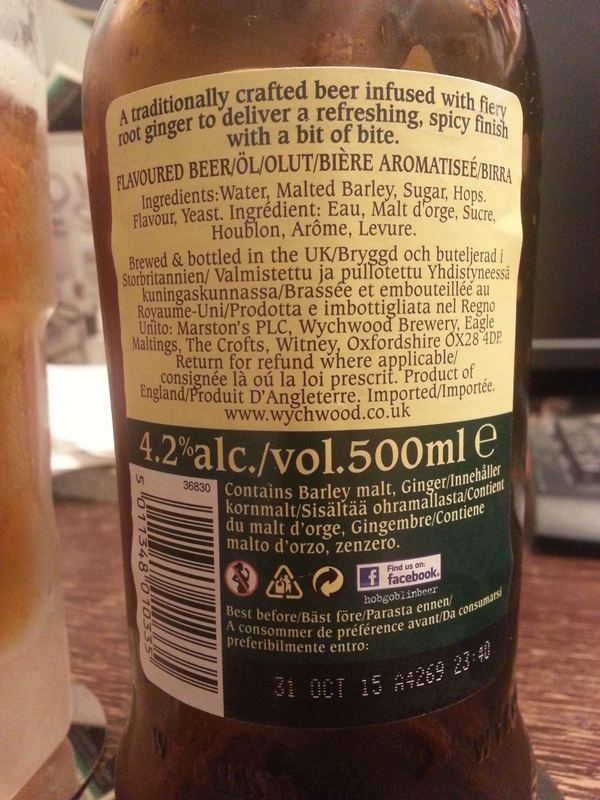 Summary: This is like drinking ginger syrup with alcohol, not good at all. It hardly resembles a beer nor a ginger beer soda. The only redeeming feature is the authentic ginger burn at the finish.